BATON ROUGE, La. 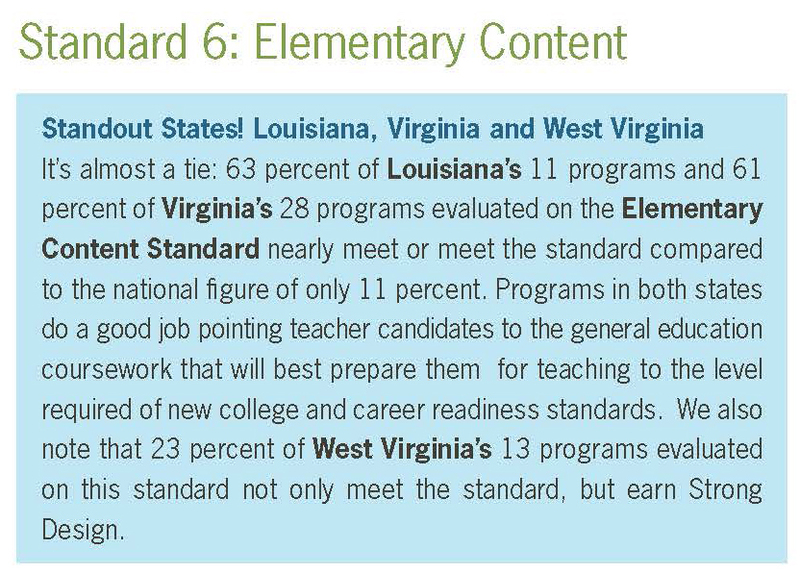 — Teacher education programs at two University of Louisiana System schools achieved the state’s highest rankings in the latest report by the National Council on Teacher Quality (NCTQ), which also acknowledged Louisiana as the best state in the country in several areas. Northwestern State University of Louisiana tied at #4 with the University of Dayton in Elementary Education followed by Louisiana State University (LSU) at #6. Southeastern Louisiana University ranked #28 in Secondary Education with the next highest Louisiana institution at #127 (LSU). Northwestern and Southeastern were also among the few universities the report recommends to aspiring teachers as top rated schools with low tuition. Additional UL System institutions achieving national rankings in Elementary Education were Louisiana Tech University, Nicholls State University, McNeese State University, the University of New Orleans, and the University of Louisiana at Monroe. National rankings in Secondary Education included Northwestern, McNeese, UNO, and Grambling State University. “While there will always be room for improvement, it is certainly nice to be recognized for what is working,” said Woodley. To download the NCTQ Teacher Prep Review, visit http://www.nctq.org/dmsStage.do?id=267634&dmsVersionId=266632.